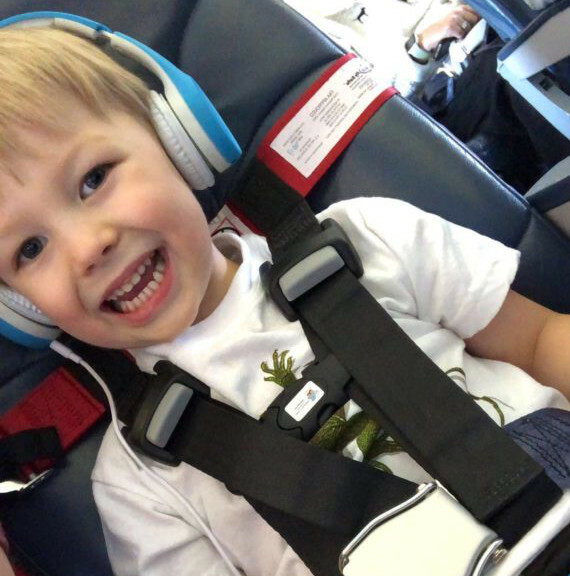 Kids Fly Safe offers a safety restraint system designed specifically for aviation use for children over one year old who weigh between 22 and 44 pounds. Certified by the Federal Aviation Administration (FAA), it is compact, super easy to install, and weighs less than a pound. We also have CARES for special needs flyers over 44 lbs and 40 inches tall. Please read this first before placing your reservation for the Special CARES. Please click here for the hard copy. 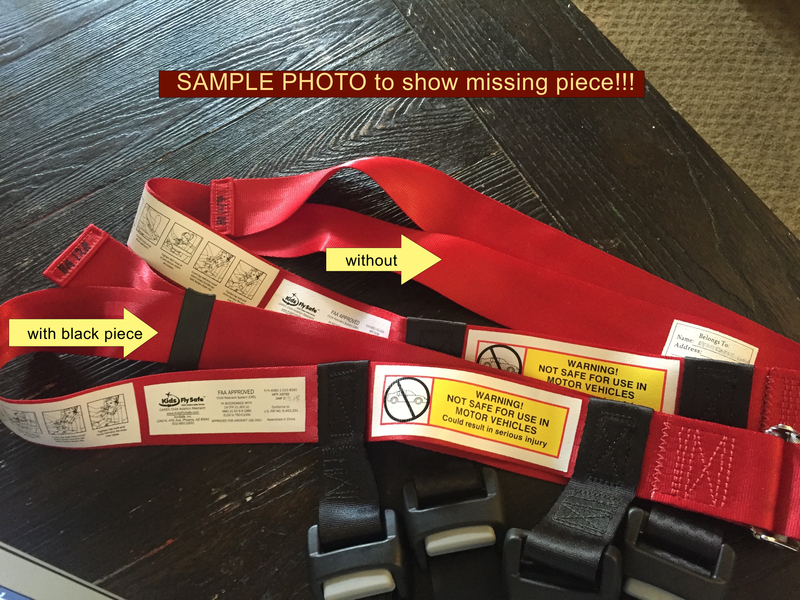 How old are the CARES harnesses? – Most of our stocks are less than two years old from the date of purchase. Do I have to pad the dates to allow time for shipping? – No, please use actual travel dates. When do you ship orders? – We send out orders five to seven days before your trip. What is your Cancellation policy? – We only accept cancelations up to 9 days before your departure date. In the event of a cancellation with a notice of less than 9 days, a refund will not be given. Late and default fees may apply. What is your late return policy? – We are counting on our customers to return the harness(es) on time. If customers don’t, it can put significant inconvenience and stress to us and possibly future customers. If there is a chance you might be late, please contact us to request an extension. If we can’t allow an extension due to high volume, please return the harness(es) before its due date and pay the late fees if applicable. Is it guaranteed to arrive on time before my trip? – The standard 2-3 day service is the expected delivery time only and not guaranteed. How far in advance can I reserve the CARES harness? – We accept reservations up to 1 year in advance. I’m leaving in less than a week, can I still rent? – It depends, you need to allow at least 3 days for shipping, and you must choose “express shipping” instead of standard. What is your policy on lost carry bag and missing parts? – Lost or damaged carry bags carries a fee of $1.00, this need to be ordered separately from the manufacturer. 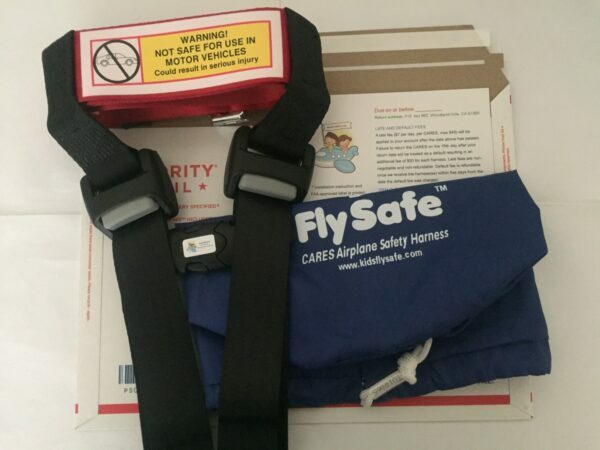 Every part of the CARES harness is essential for it to function properly, if you lose or significantly damage any part, you will have to pay for its full replacement. My order was canceled due to potentially fraudulent order – If our payment processor flags your order, we will cancel it. Also, if we are unable to contact you to verify information (regarding any issues with your reservation), we will cancel the order. Please make sure you are available at the email address you’ve provided in the reservation form. Can I use FedEx or UPS? – Yes, but they do not ship to a USPS PO box and they do not offer free basic insurance. Please contact me for the physical address. What if the item is damaged at the time it was delivered? – If we ship the rental equipment to you and the package is delivered damaged, opened, or otherwise is suspicious looking manner, do not accept it and notify us immediately at [email protected] If you chose to accept it, save all packaging material for inspection by the carriers agents and notify us immediately. I put the wrong address! – Please note, We are unable to intercept and reroute a package once it has been dropped off at and accepted by USPS. Late charges/replacement fees will apply. Pick-up and drop-off within Los Angeles? – No. How long should I keep the return tracking number? – It is your decision, but in case of disputes, please keep the tracking information until the case is closed. Is the CARES harness sanitized? – Yes, it is sanitized. The carry bag is washed prior to rental. welcomeback19 – $1 off the rental price for returning customers only. Please note if you booked using our old reservation system, your email won’t be accepted. You may leave us a message in the notes section during checkout and we will apply the discount within 24 hours.